Slow Food 2013 has just been released and we have a copy that is fresh off the press (just like great olive oil)! 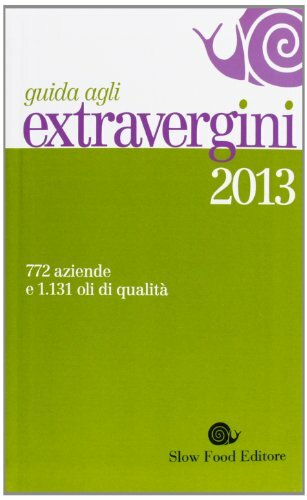 The guide carries notations on 1131 quality olive oils from 772 notable producers in Italy. LE CHIOCCIOLE (The Snail): best representation of the values and qualities of Slow Food. The following abundant selections are in stock at Olio2go.com! Gli Olio Slow: representing quality cultivation, sustainable practices, and good value for oils from the named region. For the full list of Slow Food – recognized olive oils currently in stock at Olio2go, click here. 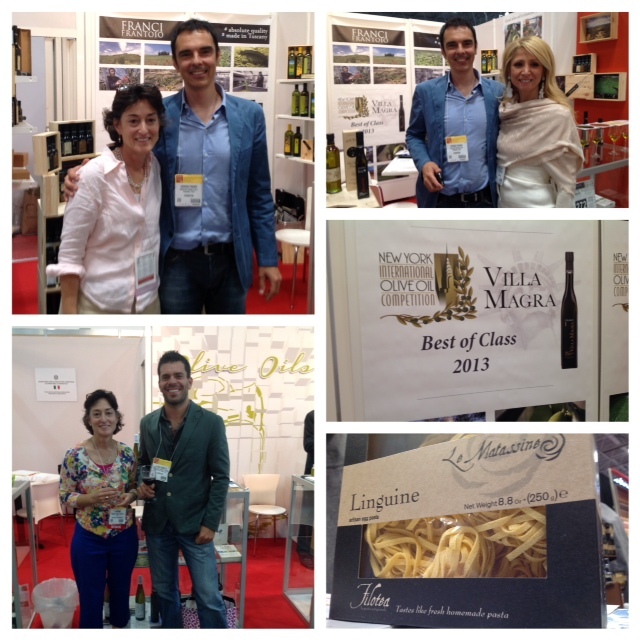 We have or soon will have six of the Award winners from SOL in Verona, Italy. SOL concludes its run today, 12 April. SOL runs concurrently with Vinitaly, and the extra virgin olive oils are notable oils, often from the same producers as the best wines. In the Gran Menzion Category for delicately fruity, Colli Etruschi and Vicopisanolio are labels carried by Olio2go. While Vicopisanolio may be milder than most Tuscans, Colli Etruschi wouldn’t be delicately fruity to our palates. Medio Fruttato include Tommaso Masciantonio’s great oil from Abruzzo, on a ship bound for us at present. Titone from Trapani is in stock and always excellent. In the Intensely Fruity category, Frantoio Franci’s Villa Magra Gran Cru is always the notable entry from the Franci line. Villa Zottopera makes the list and is inbound to the U.S. as well. Perhaps we will soon also have Frantoio Cutrera’s Primo.